Jay Park is in Manila and will wow his fans at the SMX Convention Center this October 3, 2010! Time again to use your TST points to see him for FREE! . But hurry, LIMITED tickets only! Offer starts at 7pm on Sept 30 and ends 12noon on October 2. Open to Smart Buddy, red and Talk 'N Text prepaid subscribers. 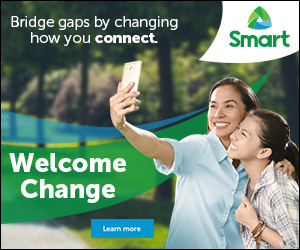 Not open to Smart postpaid and Smart Bro subscribers. Converting your TST points are from September 30, 7:00pm to October 2, 12noon, or until we get the first 50 valid requests for tickets. To find out how much TST points you have and get free updates 3x/week, text TST ON and send to 8850. Register for free by texting REGNAME/ADDRESS and send to8850. 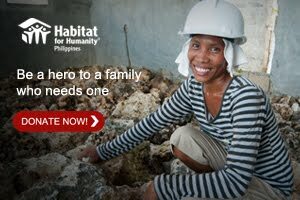 Example: REG Juan Mapaysbuk/1234 Epifania dela Rama St., QC. How to convert my TST points and claim my ticket? Just text TSTREDEEMBRONZE and send to 8850. Get 2 tickets/text. P1.00 per text. You can redeem more than once (points-dependent). Successful entries will receive a SMS notification from 8850 with 6-digit Numeric Code and # of TST points you have left after converting your points. How to claim my ticket/s? Redeeming actual tickets will be on Oct.3, event date proper, from 4-6pm only. Proceed to the Smart Redemption Booth near Hall 4, SMX Convention Center and present to the front-liner your mobile phone with the official sms notification message. Front-liner will validate the 6-Digit Reference Code on the SMS. After verification, he/she will delete the message and turn over your ticket.